Last night Nina (of The HSS Feed) and I tried out new hot spot, Brasserie 19. Even at 6:30, the place was starting to fill up fast. We were thrilled when the waiter told us how to order our bottle of wine, via the iPad App the restaurant had made. The first tech-savvy restaurant I have been to in Houston. The meals were brought out quickly and each tasted amazing. The combination of flavors was nothing short of delectable. Definitely a must-try! 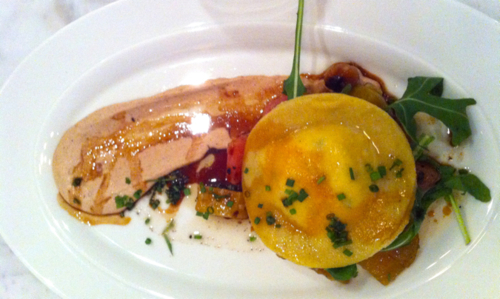 Chèvre (goat cheese) Ravioli with a warm beats, arugula, and a red pepper mousse. 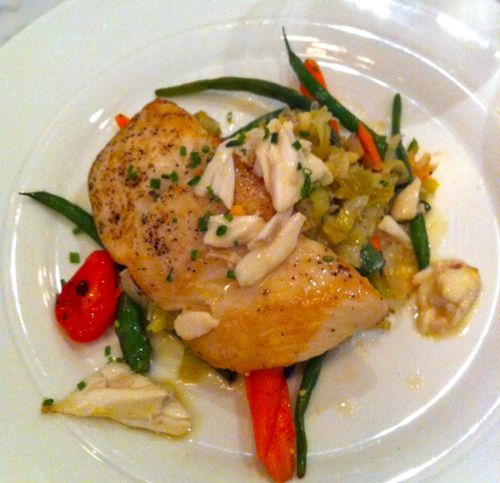 Alaskan Halibut topped with Jumbo lump crab meat paired with spring veggies. 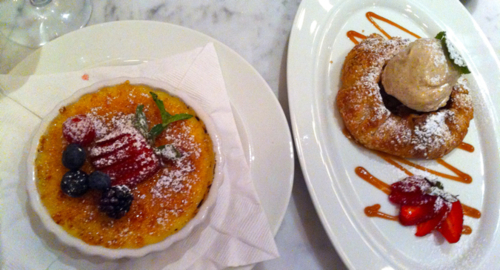 My dessert (on left) was a delicious and crackly creme brulee, while Nina opted for an Apple Galate. Click here to view their extensive French menu.